SB Scaffolding (India) Pvt Ltd. Backed by a team of experienced experts, we are engaged in offering an extensive array of Scaffolding Channel. 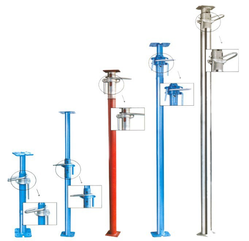 Our company holds vast experience in this domain and is involved in providing Scaffolding Base Plate. 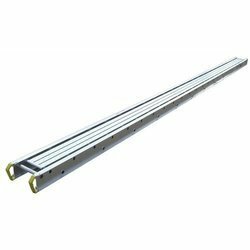 Floor Forms Slab Shuttering are manufactured from 14/12 gauge M.s Sheets with pressed flange and stiffners with proper slots at the edges. Odd dimenions are filled up with the adjuster floor forms/slab form. Normal sizes are 600mm width and in lengths of 900mm ( fro 400mm slab thickness ) and 1150mm (for 300mm slab thickness) Adjuster are available in 14g. Specifications. Spot India Group Heavily Invests In Product Research And Development To Assure Full Certification Of Our People And Scaffold Products. MEVA Table Forms are simple units, consisting of a few standard components which can be quickly assembled. For building projects with open facades and a high number of repeating applications, large size Table Forms are often the ideal solution to save time and money. MEVA Formwork Systems Pvt. Ltd.
Clamp Scaffolding in Navi Mumbai. Enlisted amongst one of the renowned organizations, we are highly indulged in providing a comprehensive collection of Adjustable U Head. These are manufactured and developed making use of supreme grade material and progressive tools and technology in order to uphold its preeminence amongst our competitors exist in the industry. Mhatre Spices India Pvt. Ltd. PROPS with Tube diameter x Thickness as per Customer required can also be supplied.